Residents of Apex Hudson Riverfront enjoy gourmet kitchens featuring energy-efficient stainless steel appliances, quartz countertops, modern cabinetry, subway tile backsplashes, high ceilings, and walk-in closets. 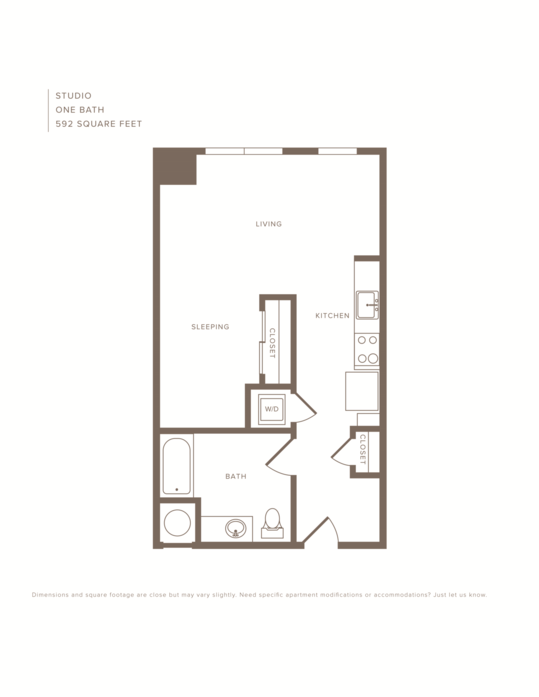 The Clove studio apartment features 592 square feet and has ample closet space and a large bathroom. The kitchen features top of the line stainless steel appliances, espresso cabinets, and quartz countertops. There is also a washer and dryer. 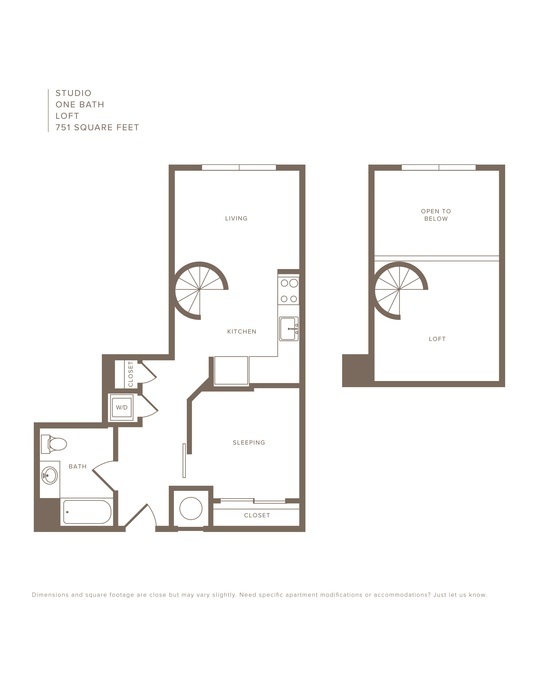 The Westchester Studio Loft features a spacious 751 square feet and is sure to make an impression with spiral stairs leading to an elevated living area. There is plenty of room to feel at home with ample closet space and a kitchen featuring top of the line stainless steel appliances. The Westchester also has a washer and dryer. 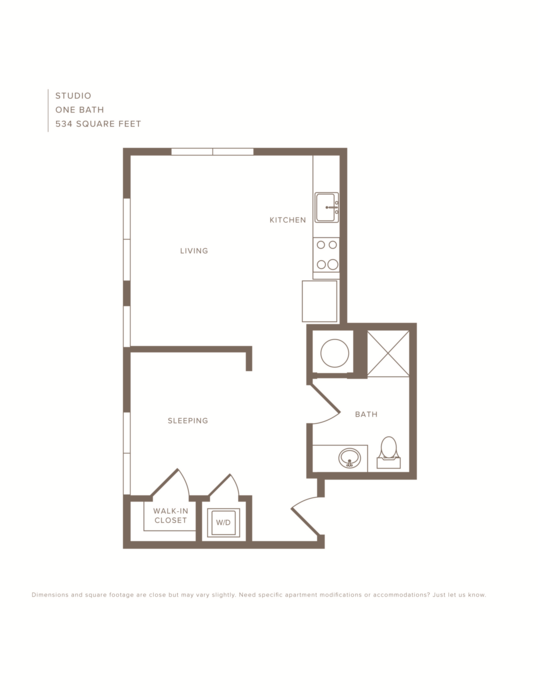 The Sawyer studio apartment features 534 square feet and feels much more like a one-bedroom with an open floorplan. A wall with an open entry way separates the living area from the sleeping area. The kitchen features top of the line stainless steel appliances, espresso cabinets, and quartz countertops. The Sawyer has a walk-in closet and washer and dryer. The Buffalo is a one-bedroom and one-bathroom loft home, which features 1676 square feet of living space, including a den. A long hallway is at the entrance of the unit, which leads into the kitchen and living area. The kitchen features top of the line stainless steel appliances and espresso cabinets. The upstairs loft is a great use of space and also includes a walk-in closet. It quite simply doesn’t get any better than this one-bedroom loft. 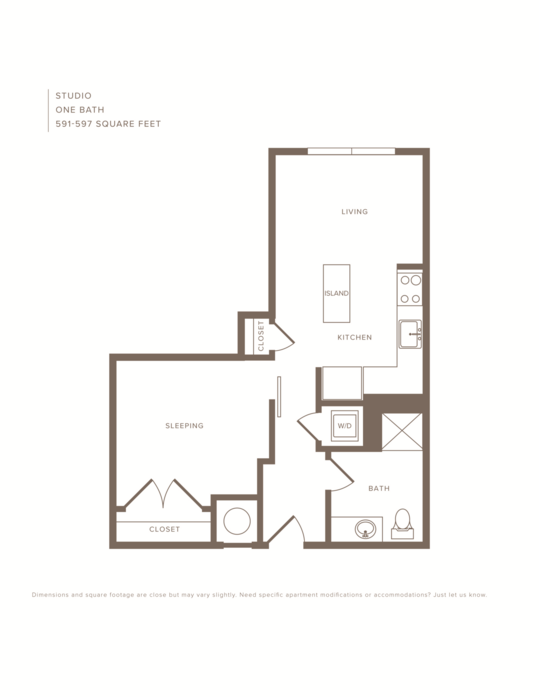 The Lawrence one-bedroom and one-bathroom loft apartment home features over 836 square feet. The spiral staircase which leads to the loft area is sure to impress. There is a huge kitchen featuring stainless steel appliances and brown espresso cabinets. The Lawrence also has a walk-in closet and washer and dryer. It doesn’t get any better than the Niagara. This extravagant one-bedroom and one-bathroom loft features 998 square feet. There is plenty of living space and an oversized balcony, which is sure to impress. The kitchen features top of the line stainless steel appliances, quartz countertops, and espresso cabinets. There is plenty of closet space throughout and a washer and dryer. 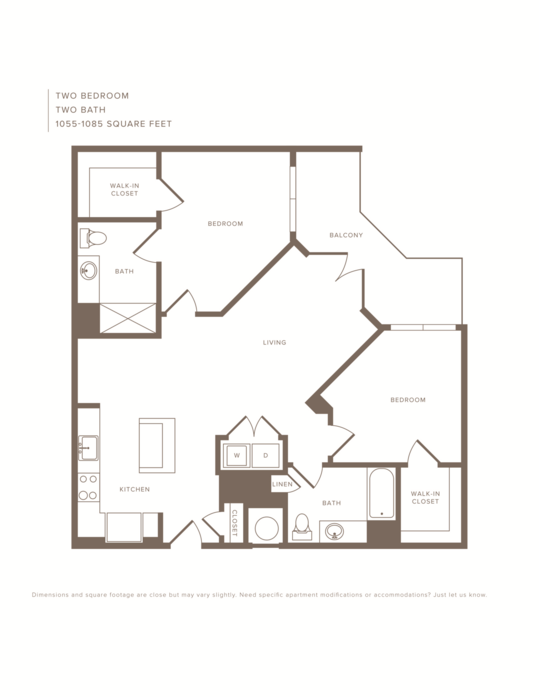 The Oneida is a one-bedroom and one-bathroom apartment home with two balconies. One balcony is off the kitchen and living area and the other balcony is off the bedroom. 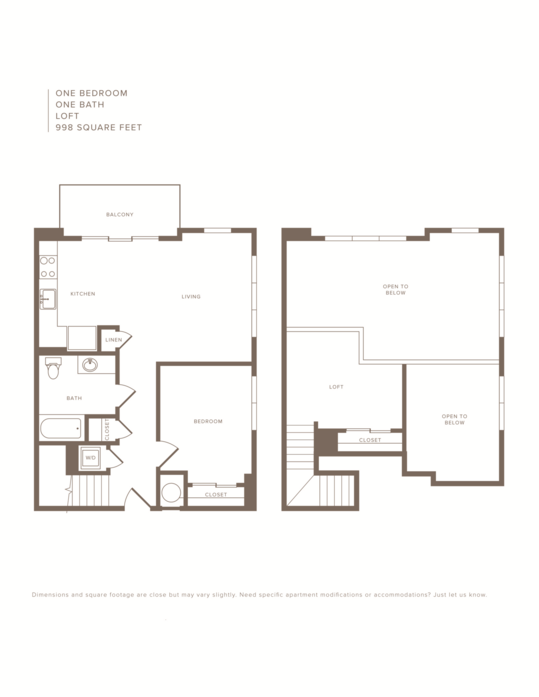 The Oneida has 882 square feet of living space. The kitchen features top of the line stainless steel appliances and opens up to the living area. There is also plenty of closet space including a walk-in closet. Plus, a washer and dryer. The Stony is a one-bedroom and one-bathroom home featuring a den and a long wraparound balcony. There is 971 square feet of living space in the Stony, including a gourmet-style kitchen with top of the line stainless steel appliances, espresso cabinets, and a kitchen island countertop. There is plenty of closet space, including a walk-in closet within the bedroom. There is also a washer and dryer. 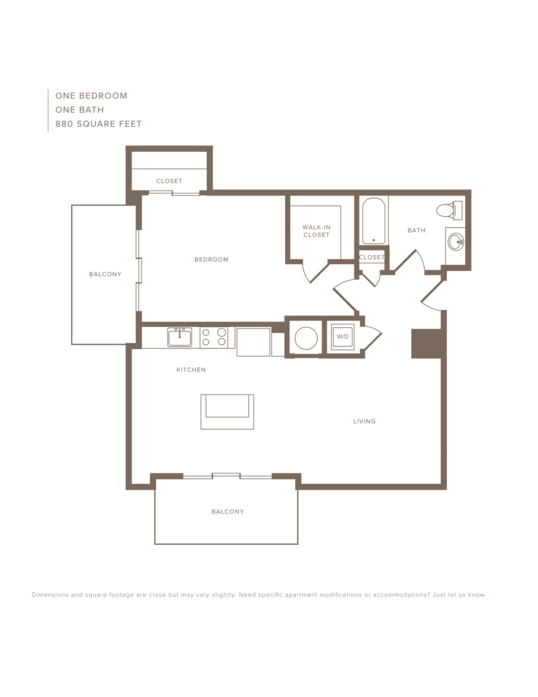 The Mill one-bedroom and one-bathroom apartment home features 715 square feet of living space. With a balcony and great view, this apartment is sure to impress. The gourmet kitchen features stainless steel appliances, espresso cabinets, and a kitchen island countertop. There is plenty of closet space and an oversized bathroom and washer and dryer. 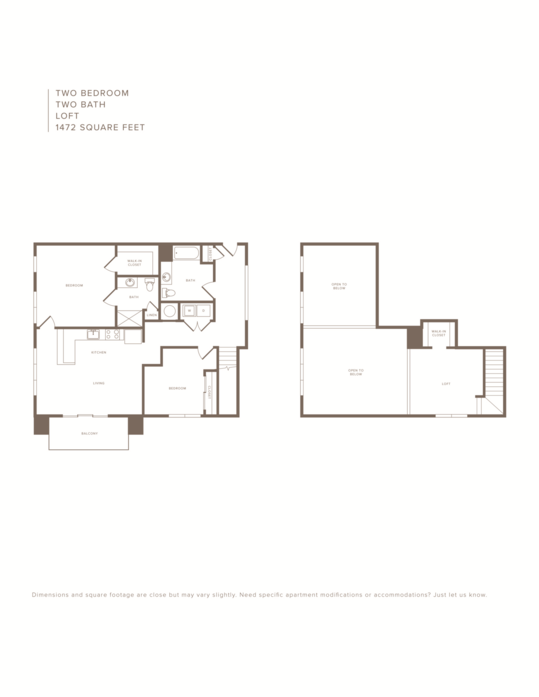 The Woodbury one-bedroom and one-bathroom loft features 1191 square feet of living space. There is also an oversized wraparound balcony just off the living area and bedroom. There is plenty of closet space, including a walk-in closet within the bedroom. The kitchen features top of the line stainless steel appliances, espresso cabinets, and a kitchen island countertop. There is also a washer and dryer. 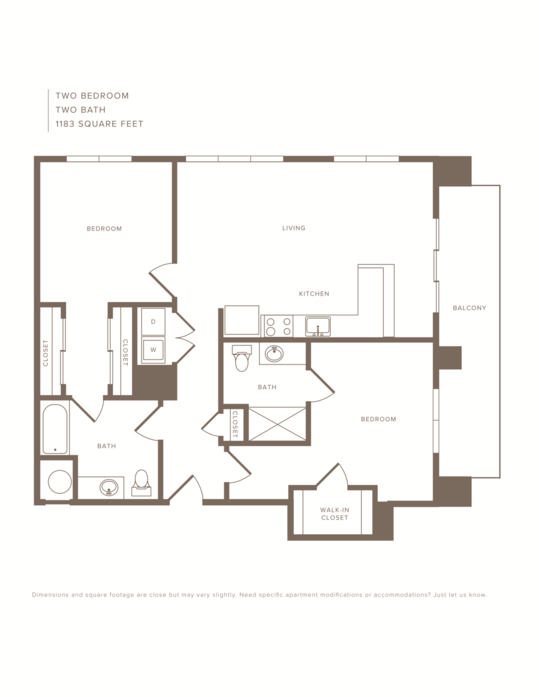 The Woodland is a one-bedroom and one-bathroom apartment home with a den, featuring 922 square feet. The kitchen features top of the line stainless steel appliances, espresso cabinets, and a kitchen island countertop. The kitchen opens up to the living area. In addition, there is a huge walk-in closet located within the bedroom. Plus, an oversized bathroom. There is also a washer and dryer. The Woodland truly has everything you need for a comfortable stay at home. The Cedar one-bedroom and one-bathroom apartment home features close to 595 square feet of space with the top of the line finishes. The kitchen has stainless steel appliances, a kitchen island countertop, and espresso cabinets. There is plenty of closet space and a washer and dryer. 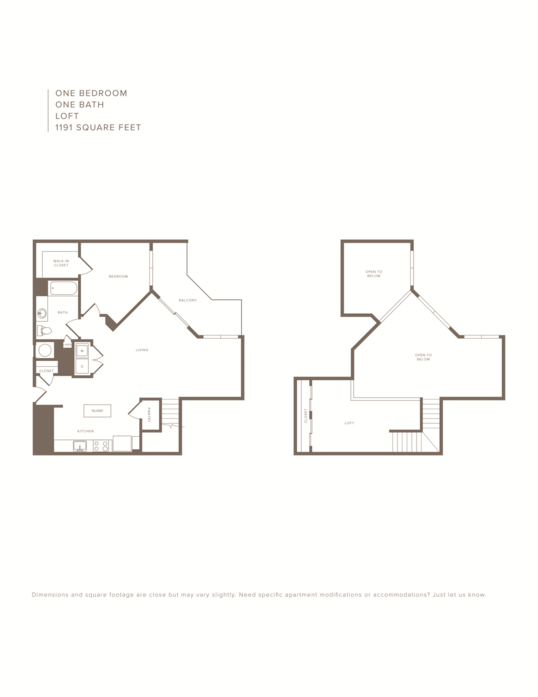 The Oak one-bedroom and one-bathroom apartment home features 666 square feet of living space. 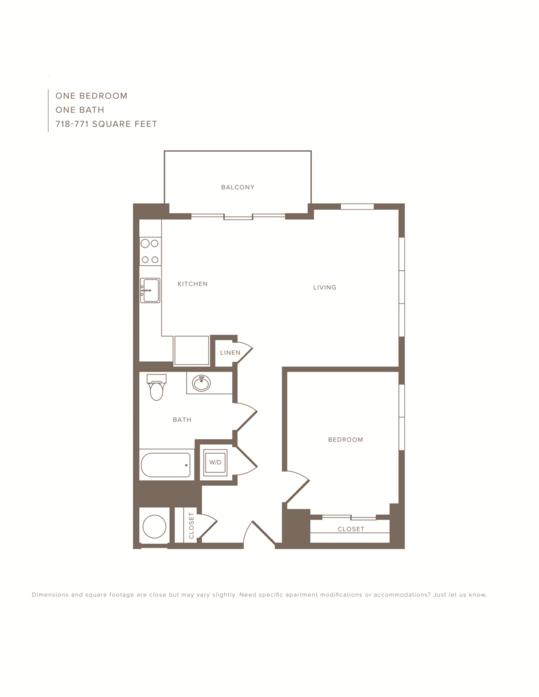 This unit is top of the line and has a spacious layout and gourmet style kitchen with stainless steel appliances and a kitchen island countertop. There is a huge walk-in closet between the bedroom and bathroom. This Oak unit also has a washer and dryer. 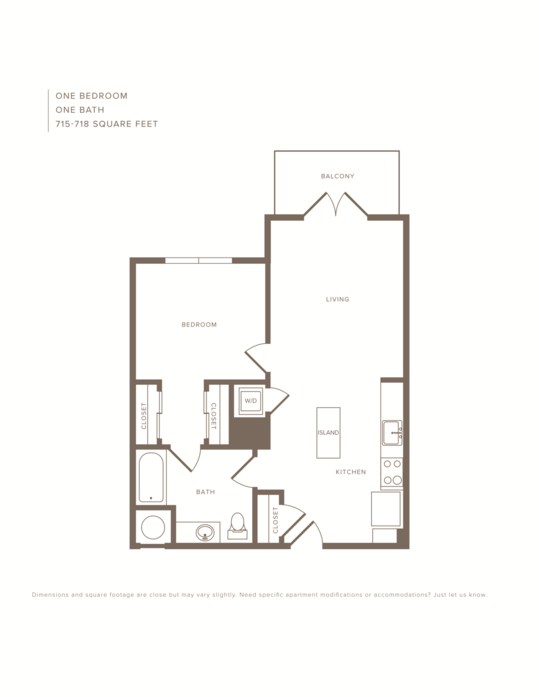 The Erie one-bedroom and one-bathroom home features 771 square feet. Off from the kitchen and living area, there is an oversized balcony so you can take in the fresh air. The kitchen features top of the line stainless steel appliances, quartz countertops, and espresso cabinets. There is plenty of closet space throughout including a linen closet. The Erie unit also has a washer and dryer. 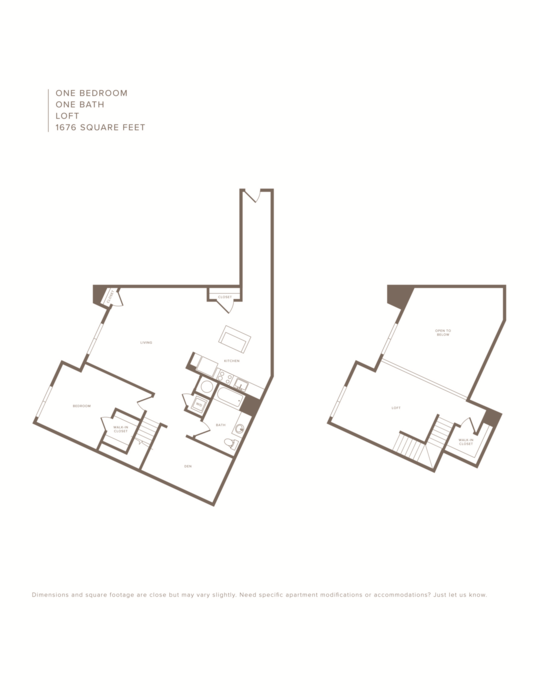 The Newton one-bedroom and one-bathroom home features 718 square feet. 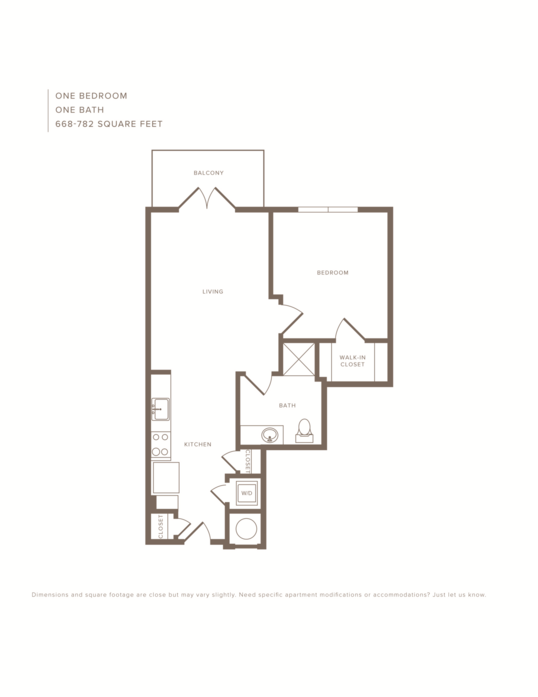 This unit is top of the line and has a spacious layout and gourmet style kitchen with stainless steel appliances and a kitchen island countertop. There is a huge walk-in closet between the bedroom and bathroom. This Newton also has a washer and dryer. 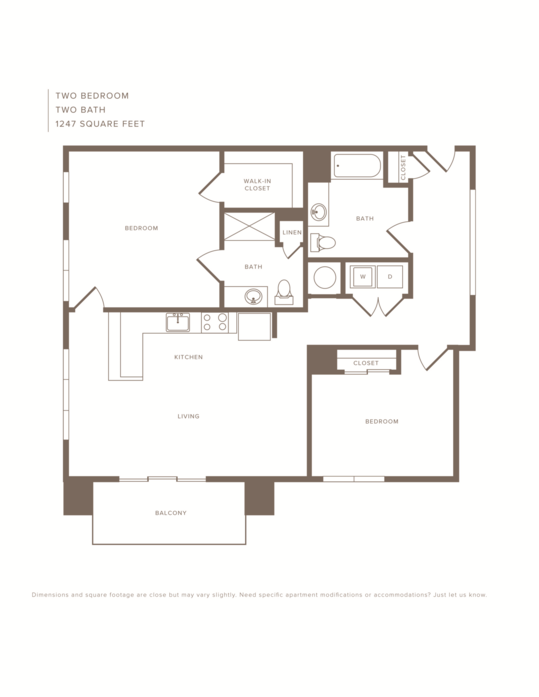 The Ontario one-bedroom and one-bathroom loft is over 868 square feet. It has a second level of living space, which can make for a great office or sleeping area. The spacious kitchen opens up to the living area where you have a great view through the balcony. The kitchen features top of the line stainless steel appliances, espresso cabinets, and an island washer and dryer. In addition, there is plenty of closet space and an oversized bathroom. 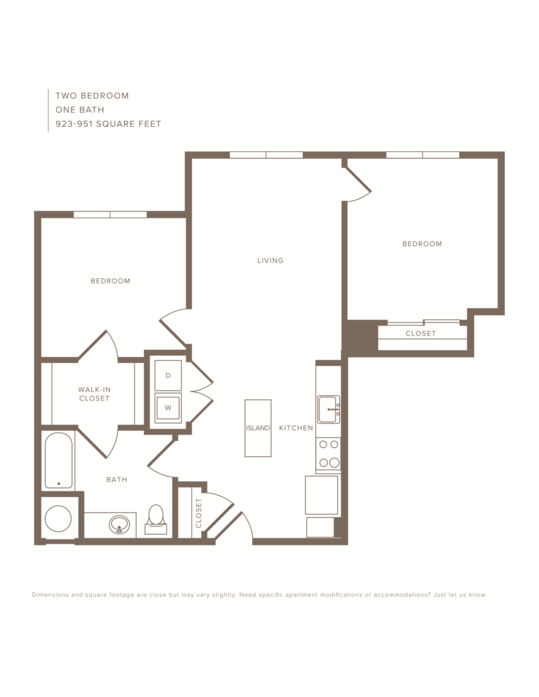 The Peters two-bedroom and one-bathroom apartment home features over 936 square feet of living space. The gourmet kitchen features stainless steel appliances, espresso cabinets, and a kitchen island countertop. The two bedrooms are on the opposite sides of the living room, which makes for plenty of privacy. There is also a good deal of closet space, an oversized bathroom, and washer and dryer. 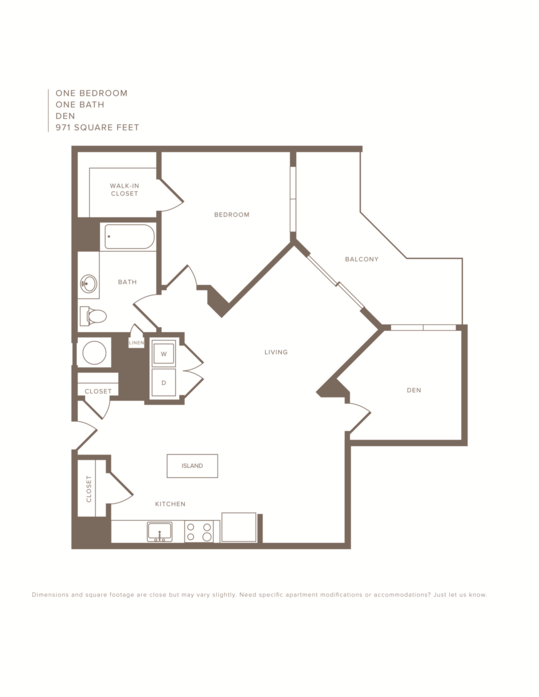 The Atlantic is a two-bedroom and two-bathroom loft, which features 1472 square feet of living space. The kitchen opens up to a huge living area. A balcony is just off the living room which makes for a very nice view. The gourmet kitchen features stainless steel appliances and espresso cabinets. There is ample closet space, including a walk-in closet. There is also a washer and dryer. The Delaware two-bedroom and two-bathroom home features 1247 square feet and is great for entertaining. The kitchen opens up to a huge living area. A balcony is just off the living room which makes for a very nice view. The gourmet kitchen features stainless steel appliances and espresso cabinets. There is ample closet space, including a walk-in closet in the master bedroom. The Delaware also has a washer and dryer. 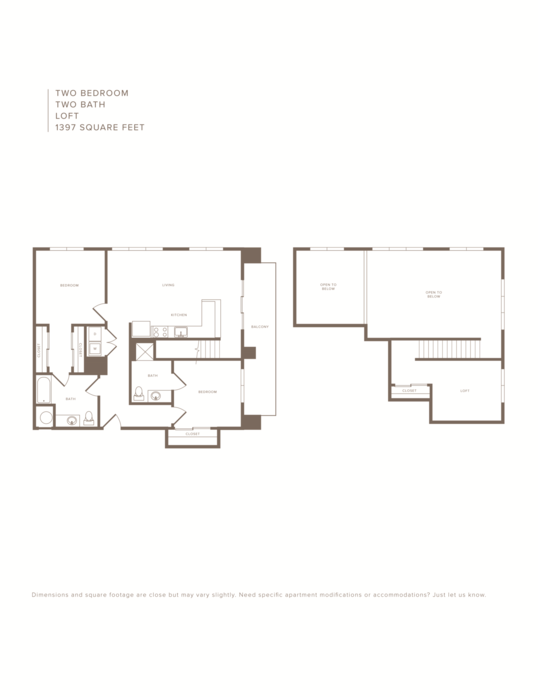 The Bronx two-bedroom and two-bathroom home features 1073 square feet of living space. The living area is expansive and sits next to the gourmet kitchen featuring top of the line stainless steel appliances, espresso cabinets, and a kitchen island countertop. There is also a washer and dryer. 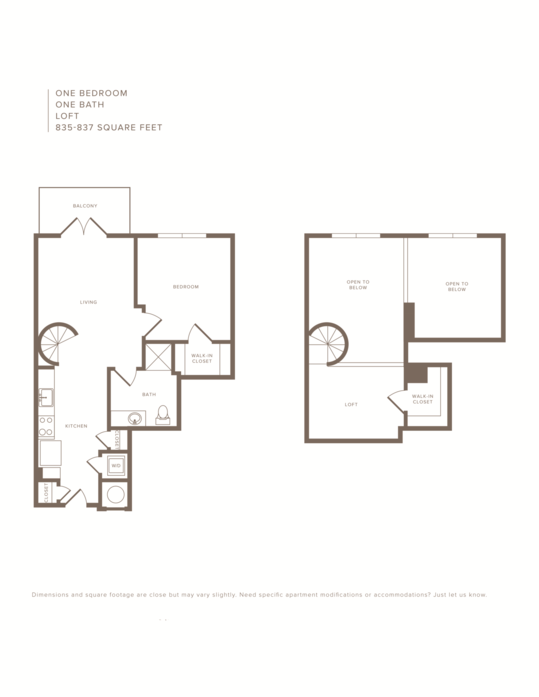 The Wolf two-bedroom and two-bathroom loft features 1397 square feet of spectacular living space with a huge balcony. The bedrooms are located on opposite ends of the apartment, which makes for plenty of privacy between roommates. The loft is great area to make into an office. The gourmet kitchen features stainless steel appliances and espresso cabinets. There is a good deal of closet space and a washer and dryer. 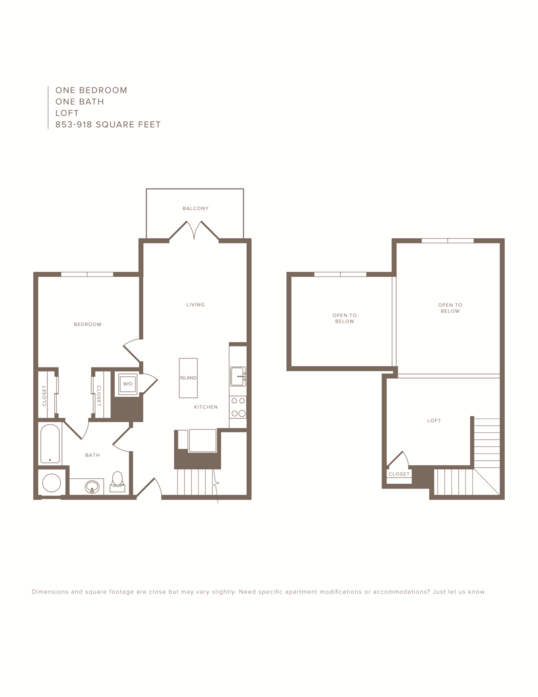 The Arden two-bedroom and two-bathroom home features 1067 square feet and a huge wraparound balcony. The gourmet kitchen features stainless steel appliances and espresso cabinets. The two bedrooms are on the opposite sides of the living room, which makes for plenty of privacy. There is also a good deal of closet space, an oversized bathroom, and washer and dryer. 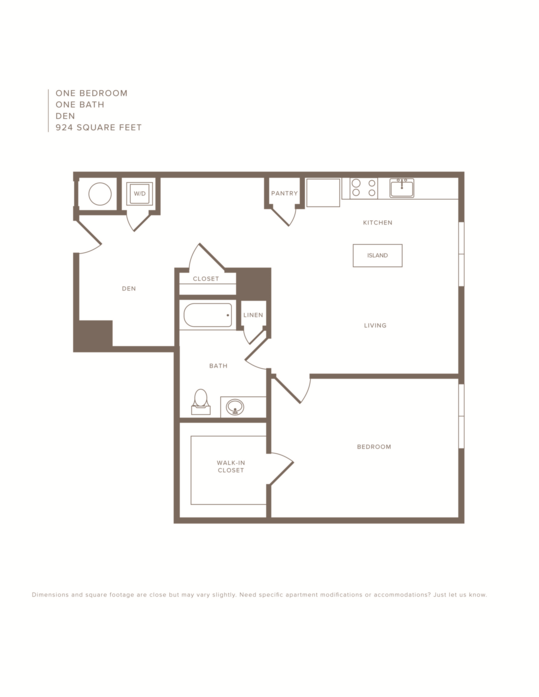 The Brandy two-bedroom and two-bathroom apartment home features 1185 square feet and a huge balcony, which overlaps from off the living room all the way to the master bedroom. The master bedroom features plenty of space and a walk-in closet. The gourmet style kitchen with stainless steel appliances opens up to the living area. There is also a washer and dryer. 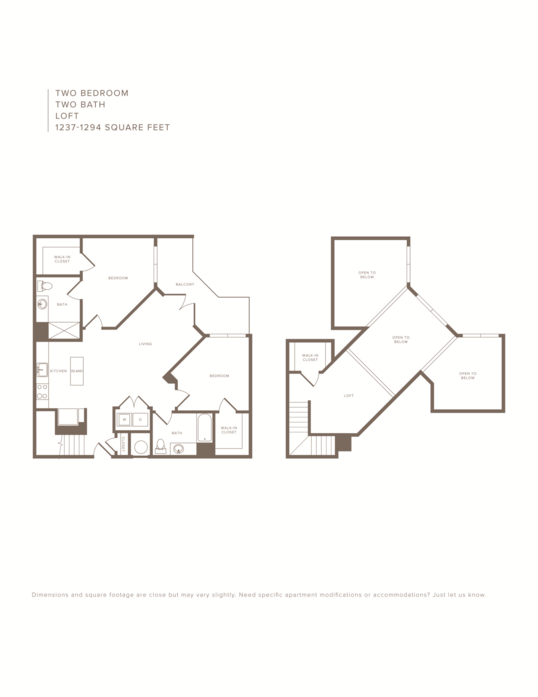 The Genesee two-bedroom and two-bathroom loft provides 1265 square feet of spectacular living space. There is a balcony just off the living area. The gourmet kitchen features stainless steel appliances, espresso cabinets, and a kitchen island countertop. There is also a good deal of closet space. Plus, a washer and dryer.